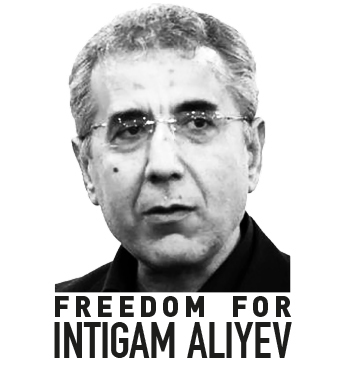 Since 8 August 2014, the human rights lawyer Intigam Aliyev of Azerbaijan is in prison. He spent his 52nd birthday in prison on 30 November 2014. His health has heavily deteriorated whilst in detention. We repeat our call for his immediate and unconditional release. In the midst of an unprecedented repression against civil society in Azerbaijan, Intigam Aliyev is one of the leading human rights defenders of the country behind bars. Intigam Aliyev was arrested on 8 August 2014 on charges of tax evasion (article 213 of the Criminal Code of the Republic of Azerbaijan), illegal business (article 192) and abuse of authority (article 308.2). Those are the same charges as the ones held against human rights defender Rasul Jafarov, also arrested in August. Leyla Yunus and her husband Arif Yunus were also arrested in August on similar charges. On 26 May 2014, Anar Mammadli and Bashir Suleymanli were sentenced to respectively 5 years and 6 months imprisonment and 3 years and 6 months on the same charges. Intigam Aliyev is a prominent human rights lawyer and leader of the Legal Education Society (LES). He has participated in submitting over 200 cases to the European Court on human Rights (ECtHR). He is defending more than 140 people in the European Court; hence, by depriving him as a human rights lawyer of his liberty, the Azerbaijani authorities also hinder their citizens to appeal and seek justice. Recently, the Committee of Ministers of the Council of Europe requested “detailed information on all criminal charges pending against [Intigam Aliyev],” which is indeed a sign of its dismay over this detention. LES is since 2009 one of the partners of the Human Rights House Azerbaijan, member House of the Human Rights House Network (HRHN). Integam Aliyev is also the national coordinator of HRHN’s programme Electronic Human Rights Education for Lawyers. The health condition of Intigam Aliyev in prison is deteriorates dangerously, due to his detention conditions. Intigam Aliyev is suffering from severe chronic headache in addition to nerve pain. According to information received by HRHF, Intigam Aliyev is denied of appropriate health care in detention. The detention conditions also gravely affect the health of Leyla Yunus. The health situation of Leyla Yunus and Intigam Aliyev has continuously deteriorated since their arrest in August. Azerbaijan’s authorities have to date refused to take appropriate measures to provide appropriate medical support to Leyla Yunus and Intigam Aliyev. Furthermore, four of the five lawyers who have been representing Intigam Aliyev, were removed from the case on 30 September 2014. They were verbally informed that they were removed from the case due to a pretended conflict of interest. Chances are that the accusation will indeed call upon the lawyers to witness in the trial against Intigam Aliyev. They have no right to appeal the decision. HRHN members have repeated their call for the immediate and unconditional release of Intigam Aliyev, and all other human rights defenders, activists and journalists detained in Azerbaijan, in their joint letter to President Ilham Aliyev on 11 November 2014. Ahead of Intigam Aliyev’s birthday, HRHN organised a demonstration on 27 November 2014 in front of the Embassy of Azerbaijan in Kyiv. Human rights defenders from Ukraine, Belarus, Croatia, Georgia, Norway, Switzerland, the Russian Federation and the United Kingdom, participated in front of the Embassy, on the steps of the Heydar Aliyev Park in Kyiv. Intigam Aliyev is a lawyer specializing on political rights and freedoms with up to twenty years of experience in the field of human rights in Azerbaijan. Intigam Aliyev is a prominent human rights lawyer and the president of the Legal Education Society, an independent Azerbaijani non-governmental organisation, founded in 1998 and aimed at achieving the development of legal consciousness and legal culture in the society of Azerbaijan. 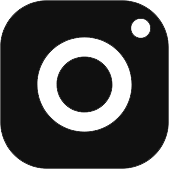 The organisation is engaged in defense of human rights, preparation of strategic litigation cases, training of lawyers and human rights education.